On this article we cover how to request an extension for filing 1099 forms with the IRS. How to file for a 1099 filing extension? Companies that need more time to file 1099s, need to send the IRS form 8809 to apply for an extension. How do I fill out Form 8809? Companies must fill out the taxpayer information as requested and check the box for which type of form they need more time to file. There is no requirement to provide a reason. You can either mail in your Completed Form 8809 can be mailed or filed electronically through the IRS FIRE service. When do I apply for an extension? Once the new year begins, it’s a good practice to submit Form 8809 to the IRS as soon as a company knows it will need an extension. ‍Companies that plan to file Form 1099-MISC reporting nonemployee compensation (NEC) payments in box 7, must request an extension no later than January 31. What’s the penalty if I forgot/don’t? The penalty depends on exactly how late the filing is. See the 1099 Filing Penalties and Fines guide. What about requesting an extension for delivering forms to recipients? IRS Publication 1220 covers the guidelines around this type of extension in Section D. Companies must send a letter explaining why they need an extension by fax, the electronic FIRE system, or mail to the IRS. 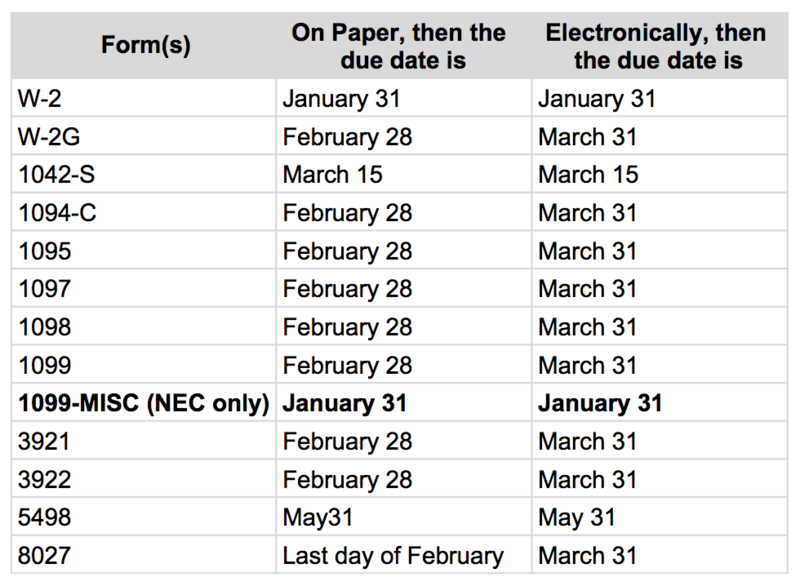 This must be sent before the due date for delivering forms to contractors (January 31 of the current tax year.) See the How to Request an Extension for Delivery to Recipients guide.